The British Sovereign Gold had been out of mintage for more than two centuries when it was resurrected by the Coinage Act of 1816. The Act also defined the British gold standard, which was officially adopted in 1821. 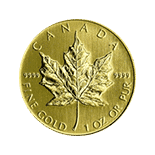 The Act set “the valuation of one standard ounce of gold (11/12 fine) at £.3.17.10½.” The Sovereign’s face value of one pound Sterling translates to 0.25682 ozt of 11/12 fine (22 karat) gold and 0.23542 ozt of pure gold. The weight has remained statistically the same ever since. The new Sovereigns made their debut in 1817 and remained in mintage for the next 100 years. Sovereigns were used in trade throughout the British Empire, eventually being produced by mints in South Africa, India, Canada, and Australia. 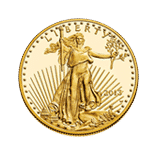 The obverse of the Gold Sovereign features the bust of the reigning monarch, encircled by an inscription naming the ruler followed by a string of Latin abbreviations, “D.G. 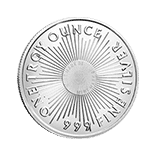 BRITT: OMN: REX F. D. IND: IMP.” The translation, “by Grace of God, King of all the Britons, Defender of the Faith, Emperor of India,” underscores the lofty position of British monarchs. The reverse was engraved by Benedetto Pistrucci and portrays Saint George slaying a dragon, with the date and mintmark inscribed underneath. The design is in use today on bullion Gold Sovereigns, although different designs have appeared over the years. Mintage of the British Gold Sovereign halted towards the end of WWI, when the pound Sterling was threatened with collapse. The legal tender Sovereign returned for its final mintage in 1925, thereafter fading into history along with the British gold standard. 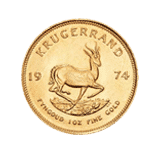 The Gold Sovereign was reborn as a bullion coin in 1957 and was produced irregularly until 1982 with yearly mintages ranging from 1,358,228 in 1959 to 9,100,000 in 1979. In 2000, England reintroduced the Gold Sovereign in limited mintage, and they have been produced every year since then. Due to the extraordinary number of early Sovereigns produced, they trade at premiums very close to their bullion counterparts while enjoying the benefits of rare coin investments.